The Google+ Commenting System Google introduced a while back was a marginal improvement over the default Blogger comments system and it also looks a lot better. We earlier shared a tutorial on how to enable this Google Plus commenting system for Blogger blogs. But some people still have problems implementing it on custom templates. And as it turns out, there are certain performance issues too. Here are some reasons not to implement it on your blog. Moving your comments from one system to another is not as painless as you'd like it to be. Once you implement one system, you should pretty much stick to it unless there's a major problem with it. Granted that the Google Plus comment system is an improvement over the Blogger comments layout, there are certain things you should know before you implement it. These things might not bother you, but for some users out there, these can be a deal-breaker. So heed well before implementing. Here's one area I particularly like to scrutinize with any comments system. An ideal commenting system has moderator roles in addition to basic moderation options. Kinda like a forum. This Google Plus comments system has no such options unfortunately. Since people are required to log in through Google Plus, comments on your blog posts are as moderable as a social media post, say on Facebook or Google Plus. You can't prevent spammers, and the only thing you can do is delete undesirable comments. The rest is left upto the system, and Google Plus will automatically hide comments which it thinks is spam. You can review these hidden comments by clicking on the blue review comments bar. That brings us to the other problem. To make a comment on your blog, readers will need to have a Google Account. If they don’t have one, they will be forced to create a Google account before they can comment on your Blog. Google is trying to force-feed their accounts to everybody they can! If you're using a custom commenting widget on your blog, such as a Recent Comments plugin, it will no longer work properly with this new commenting system because a majority of these widgets depend on the default Blogger commenting system. 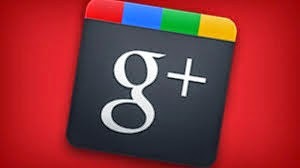 To enable the feature, you will have to switch your Blogger Profile to Google+. There's another potential pitfall. If your change your Blog URL to a custom domain after using Google+ Comments for a while, the G+ comments will be lost when you make the switch! If you think you're all settled in and won't be changing the URL or anything, then you can go ahead and implement this new system. But don't start using it prior to a potential domain change. two problems that made me come back to blogger comments was this you wrote... last comments and people who more commented plugins did not work anymore and When a user commented in a post, i did not receive an e-mail anymore, so if a user asked me a question on the comments (google plus in my blog) the system did not let me know about it. I used Blogger default comments, but was not satisfied with it as it had very less features, then i changed to Google plus comments, and soon got fed up with it and started searching a review between these commenting system and landed here. Well, i am going to use Disqus for comments. The one drawback may be that it loads slow otherwise it seems perfect ! I started using Gplus on my Ads2020 Blog But it didnt give me any control over the comments for which I hated it. The second reason- if you share your own posts on Gplus community and your own page or profile it will also show on your blog which makes it look messy! Did you know how fix the problems with the comments and the change of url? ?